EmblemHealth wants to make it easier for our providers to connect members with the care they need. This is why many of our plans, including the EmblemHealth EPO Value plan, do not require a referral to see a specialist. See a list of all plans where no referral is required. Managing a busy practice is a challenge, and welcoming new members is an important part of providing care. We encourage all of our primary care physicians to routinely check their panel reports and reach out to new patients to schedule an initial visit. Please click here to log in to our provider portal to find your reports and more. Please encourage new Medicare and Dual Eligible Special Needs Plan (SNP) members to complete and submit their Health Risk Assessments, too. Our Appointment Availability Standards During Office Hours & After Office Hours Access Standards brochure now includes additional Medicaid requirements. 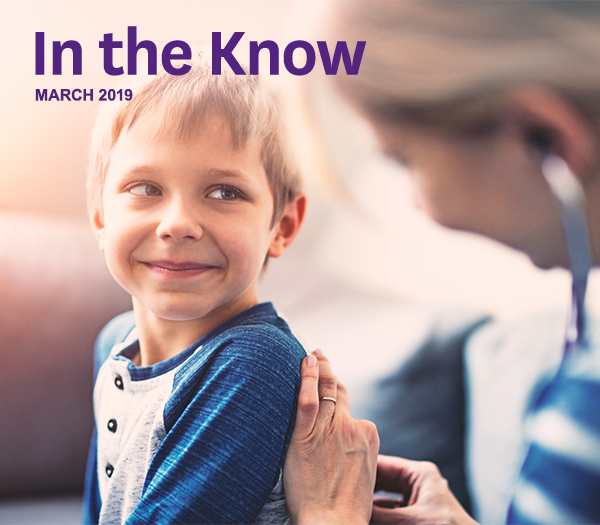 We are happy to share with you the newest issue of Medicaid Update, a monthly publication from the Office of Health Insurance Programs of the New York State Department of Health. This edition includes updates on the Medicaid program, offers guidance on policy and billing changes, and pharmacy reminders. Make sure your staff knows which of our networks you participate in for 2019. This reduces confusion when members schedule an appointment. It also helps speed up claims and billing so that you get paid sooner for you services. Watch this video if you need help finding your participation. Do you want to learn how to get the most out of your relationship with EmblemHealth? We offer monthly webinars that give you and your staff an inside look. It is perfect for new staff or as a refresher. You can learn about our networks and benefit plans, special utilization management programs, and ways to maximize your administrative efficiencies using our web-based tools and resources. Webinars are held the second Wednesday of each month, 10 to 11 a.m. and 2 to 3 p.m. Our next event is April 10, 2019. Space is limited, Register today. Effective January 1, 2019, Empire Blue Cross Blue Shield’s (BCBS) added additional services to its precertification list for Site of Service review for groups utilizing the New York City Healthline to obtain a reference number. More. Electronic transactions are fast, convenient, and reduce the risk of lost or stolen payments. This month's update includes acupuncture as a covered Medicare benefit, information on obstructive sleep apnea diagnosis and treatment, doula services for Medicaid, and more. EmblemHealth insurance plans are underwritten by Group Health Incorporated (GHI), Health Insurance Plan of Greater New York (HIP) and HIP Insurance Company of New York.